Well, according to the French dating app Happn, the trouble may just be that you’re looking in the wrong place! Having analysed successful matches in relation to geographical data, Happn has released a list of ten world landmarks where you’re most likely to find love. First on the list is Rio De Janeiro’s most famous landmark—Christ the Redeemer. 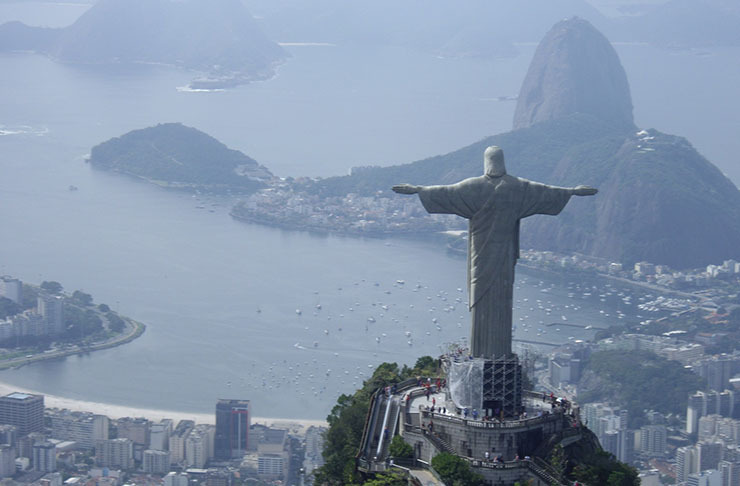 30 meters tall, the statue stands atop Corcovado mountain, opening to majestic views of the Brazilian capital. People from all over the world flock to the mountain to see the infamous landmark and its surrounding views, making it one of the top places to meet that special someone. 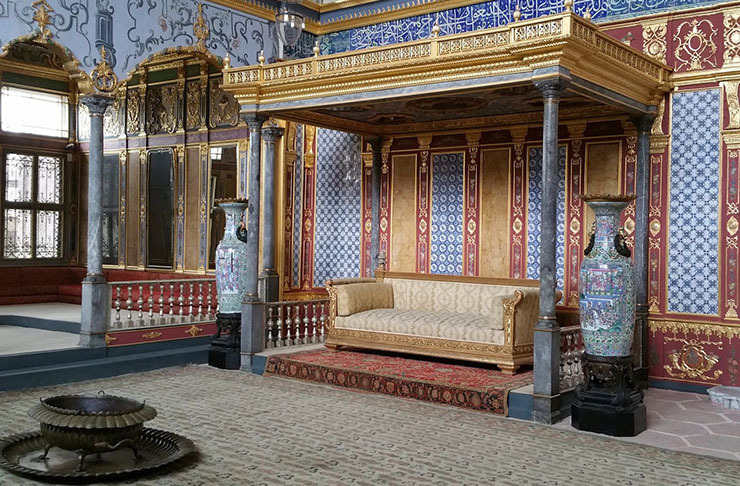 Previously home to the head of the Ottoman Empire and his entire harem—with all the favourites who bore him children, the few who got the honour of frequenting his chambers and the rest who simply entertained and served as eye candy. Love and passion were laid in the foundation of this monument… and clearly, the vibes still linger! Nowadays Topkapi is a museum showcasing all the wonders of the ancient empire it used to house, and according to Happn, a likely spot for romantic encounters! 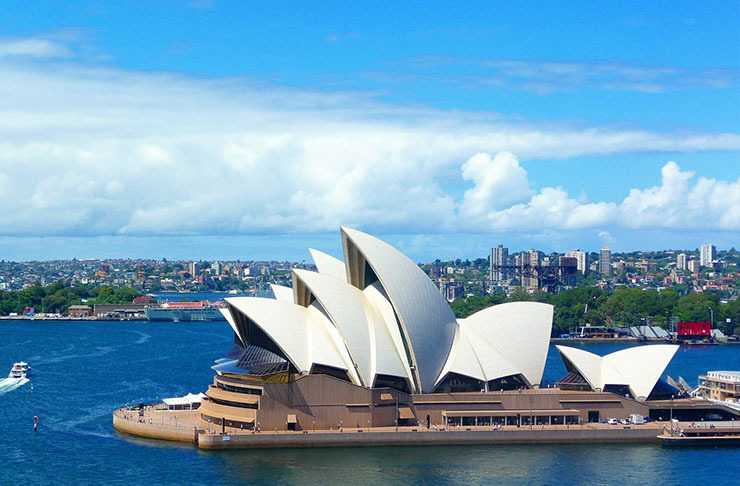 Coming eighth on the list is the not-so-distant Sydney Opera House. Built on a site sacred to indigenous tribes, the opera house is an architectural masterpiece fusing ancient and modern influences. It is one of the most recognisable buildings of our time and one of the seven wonders of the modern world. The house hosts as many as 2000 shows a year, promoting artistic taste across all platforms. Sitting by the waterside, it boasts stunning views of the Sydney Harbour and CBD, making it the perfect place for couple selfies, romantic walks and make-out sessions. They say love is a battlefield, perhaps that’s why the Colosseum lands at number seven on this list. 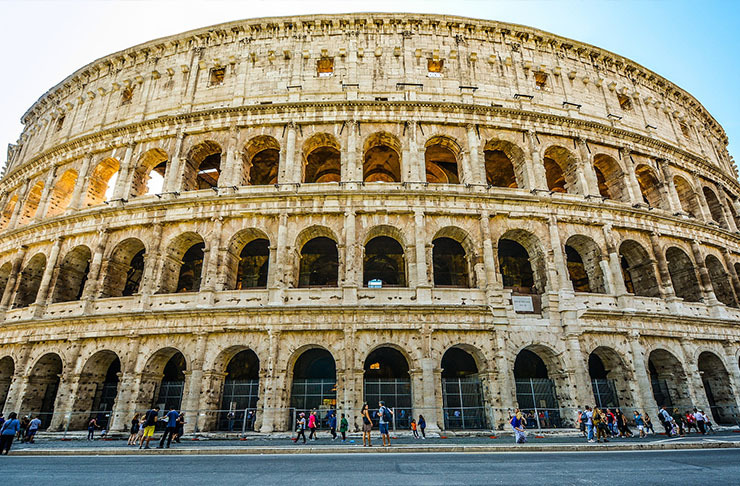 This beauty has a long history, with its construction dating back to 70-80 AD. In its prime, the amphitheatre could accommodate up to 80,000 spectators, hosting regular gladiator battles, wild beast hunts and even sea-battles, providing entertainment for the blood-thirsty Roman Empire. These days, the Colosseum is a popular tourist attraction. The ancient construction is a breath-taking sight, its grounds almost electric from all the history it’s encountered. 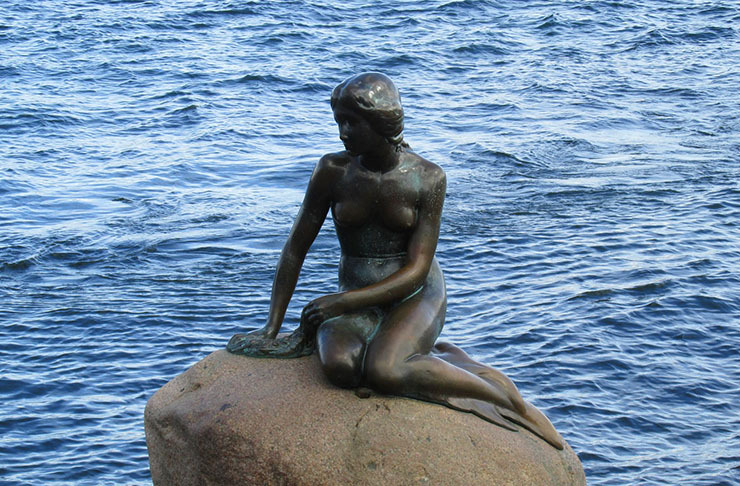 Sitting by the waterside, perched up atop a rock in Copenhagen is Edvard Eriksen’s sculpture of the Little Mermaid, depicting the famous fairy-tale character longing for her beloved prince. Although many are familiar with the story (thanks, Disney), most are unaware that the original story is a bit more morbid than the cartoon—sacrificing her immortality for legs, the little mermaid fails to win the prince’s love and dies as he weds another. Serving as a tribute to this love story, it’s rather fitting that many a romance begins at this monument—let’s just hope they end in a more Disney, ‘happily ever after’ kind of way! Landing at number five is the Empire State Building, also known as Cupid’s Tower. Erected in 1931, Empire State Building was the tallest building of its time, symbolising New York and its power. Providing breath-taking views of Manhattan, the skyscraper has served as a romantic lookout for many a couple over the years, becoming a staple make-out spot following its feature in classic romance films such as An Affair to Remember and Sleepless In Seattle. Social psychology says potential partners are likely to be encountered in exciting, adrenaline-fuelled settings such as building rooftops—this couldn’t be truer! 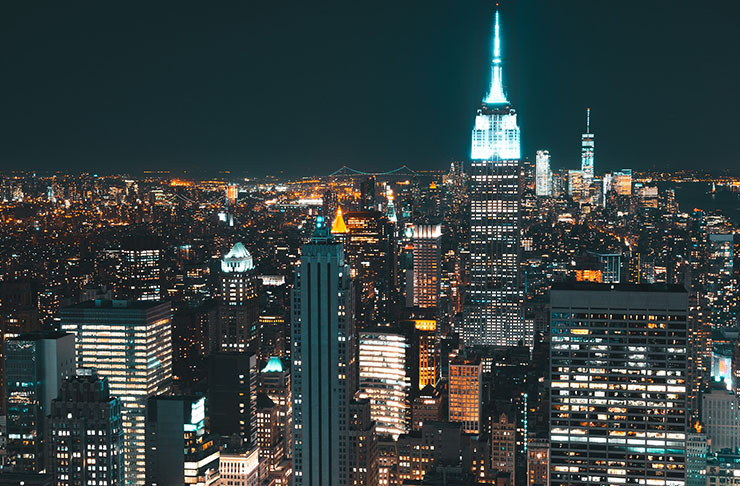 The Empire State Building’s rooftop is notorious for its role in first dates, marriage proposals and even weddings. It’s not called Cupid’s Tower for nothing! Located in Barcelona, Sagrada Familia is an unfinished Catholic monument, conceived by the famous architect Antoni Gaudi. Executed in the style of gothic revival architecture, romance is an integral part of the monument. Drawing on naturalistic and art nouveau forms, the design has its roots in floristry, echoing the natural curves of plants and flowers transformed into regulated geometric shapes. Sagrada Familia is a one of a kind structure and looks almost surreal, its ‘melting’ walls paired with religious symbolism. The basilica has a rich history with construction beginning more than 130 years ago in 1882 and continuing right through to present day, expecting full completion in 2026. 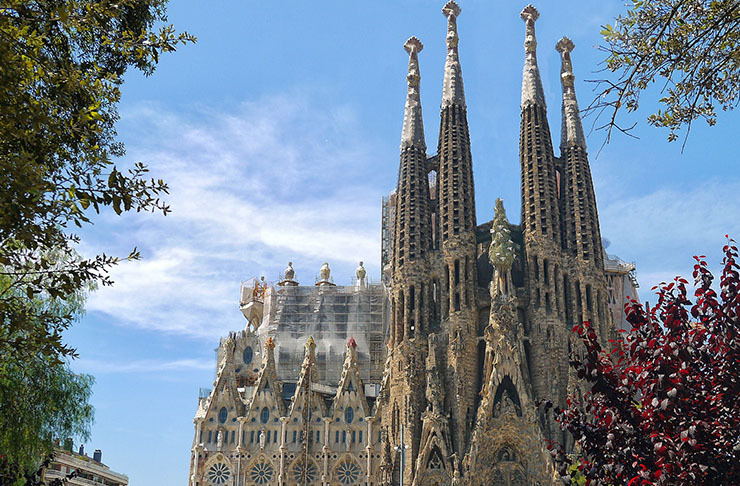 Enchanting and unique, Sagrada Familia is an inspirational sight and a romantic hotspot. 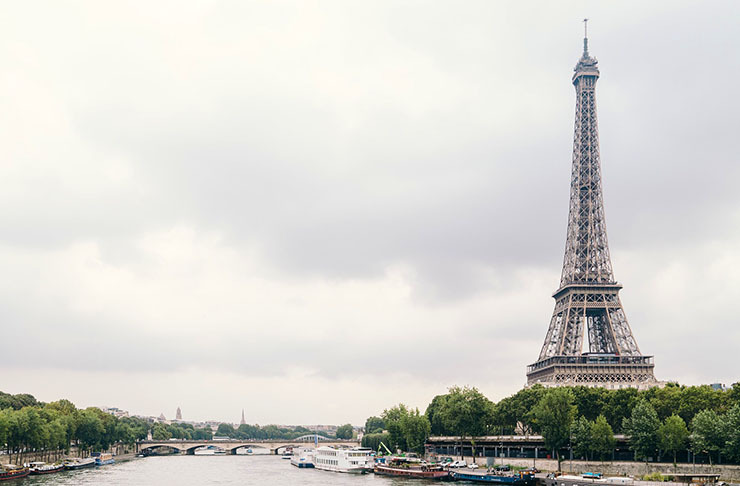 It’s no surprise the Eiffel Tower gets a spot on this list. Paris is, after all, the City of Love and the Eiffel tower is its symbol. 324 meters tall, the Eiffel Tower is stunning during the day, and even more so at night, lit up in contrast to the dark skies. From the top, it offers insane views of Paris. Thousands of marriage proposals are made here yearly and according to Happn, if you’re looking for love, this is where you’re likely to cross paths with that special someone possessing a little bit of the ol’ “je ne sais quoi”. 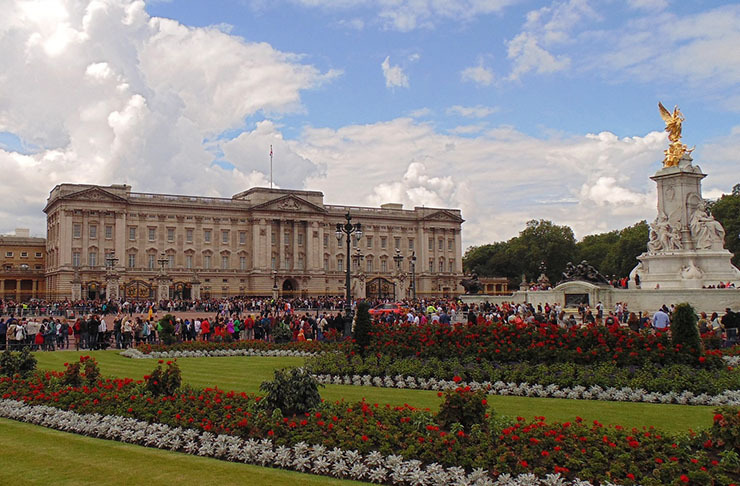 Coming in at number two is Buckingham Palace—the official residence of the Queen. Lavishly decorated, the palace is astounding in its size alone—there are 775 rooms, decorated in breath-taking artworks including old masters such as Vermeer and Rembrandt. The enormous garden is filled with flowers, and the grounds are a hot spot for court ceremonies and banquets. With more than 400 staff members tending to the upkeep of the Buckingham Palace, this is the stuff dreams are made of! Next time you’re in London, make a royal visit for a chance at your own fairy-tale romance. Although many may be unfamiliar with this landmark, it really is no surprise that the monument where you’re most likely to find love resides in Argentina. Stereotypes may rely on generalisations, but they do come from somewhere and there is definitely something to be said for the passionate nature of Latinos! 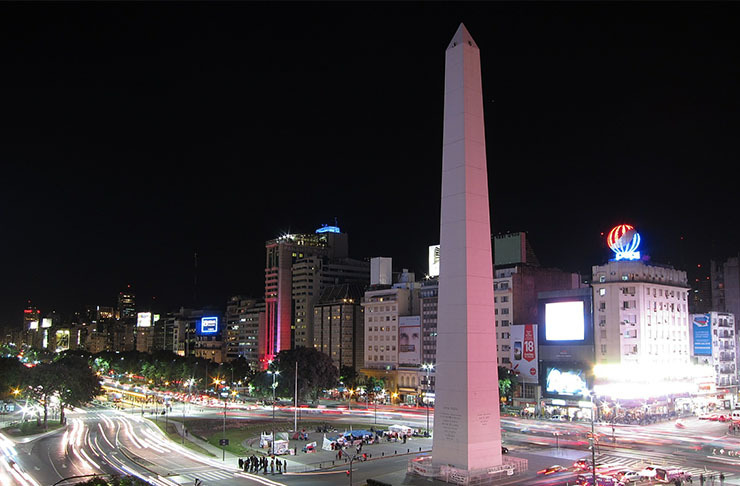 Standing 71.5 meters tall, the Obelisk intersects two of Buenos Aires’ most important streets and is an active participant in the city life, adorned in decorations for all sorts of special events including public holidays, festivals and protests. There are four sides to the monument, all of which are decorated with engraved quotations referencing defining moments in the history of Buenos Aires. According to the Happn, this is the number one wingman for those in search of romance. Check it out for yourself and perhaps it will play a crucial role in the defining moments of your love life!